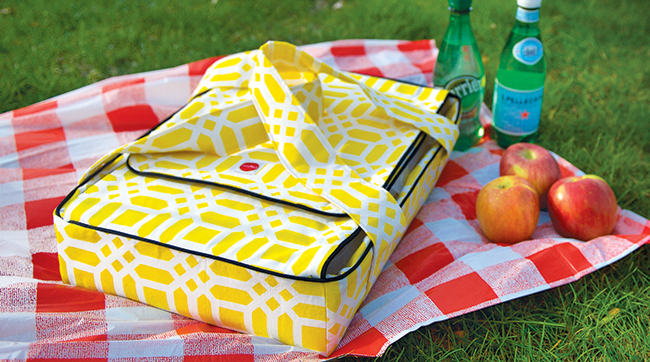 Plans are being made, bags are being packed, and creativity is converging in Minneapolis, Minnesota for International Quilt Market Spring 2015 next weekend. Patty is packing up some exciting things of her own! You've already been introduced to Vivid Knits for Riley Blake. Well, these two dresses will be making an appearance at quilt market to reintroduce the Penny knit dress pattern. It is the same quick-sew, beginner friendly, lots of options dress it has always been, with a brand new cover featuring the lovely Vivid knits. Patty didn't stop with knits as she planned her Vivid prints!! 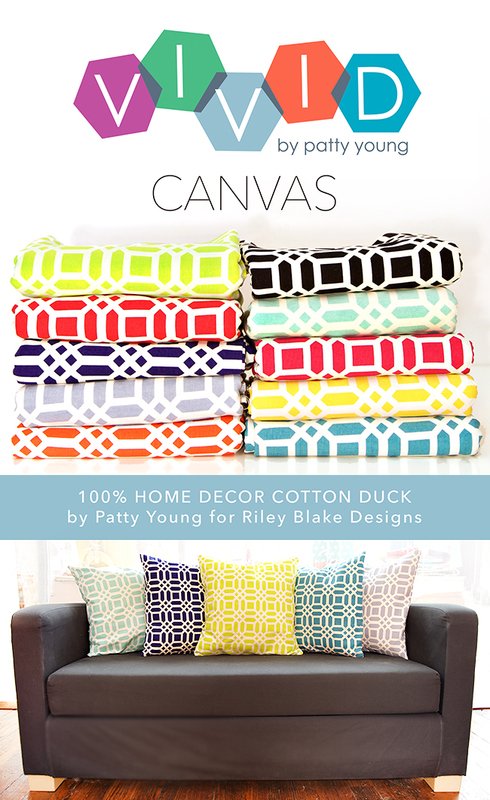 Allow me to introduce Vivid Canvas by Patty Young for Riley Blake!! We can imagine the bright colorful prints on clutches, pouches, totes, coats, home decor, and more. Speaking of coats, another lovely pattern had a little face lift! 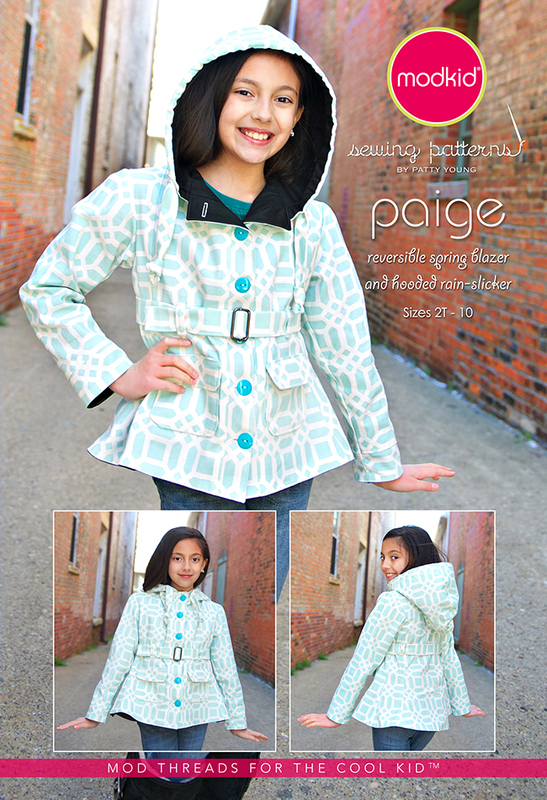 The Paige blazer and hooded jacket looks so bright and fresh in this pretty canvas print. 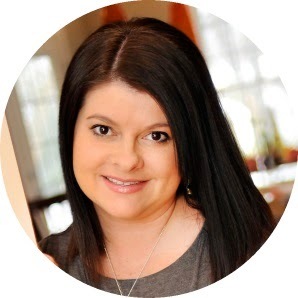 Stay tuned for a new FREE pattern featuring VIVID Canvas! 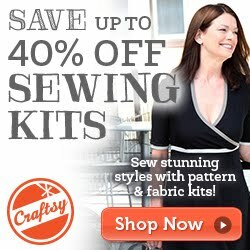 Patty will be revealing this at Quilt Market this weekend, and then we will share it here for all of you to make. In the meantime, tell us what you would make with Vivid Canvas.